L’articolo propone un confronto tra The Sight of Death (2006), di T. J. Clark, e Roof Life (2013), di Svetlana Alpers. Scritti da celebri storici dell’arte, entrambi i libri si presentano come oggetti ibridi, opere non finzionali che si pongono intenzionalmente al confine tra critica d’arte, diario e autobiografia, riflettendo sul valore e sui limiti del «guardare» e del «descrivere» come pratiche critiche e come esperienze. L’autrice riconosce l’estrema consapevolezza che Clark e Alpers dimostrano come scrittori e la conseguente necessità di affrontare la loro scrittura innanzitutto in quanto scrittura, attraverso l’analisi di strutture, motivi, figure e riproduzioni fotografiche. Il contributo più significativo che i due libri portano al dibattito critico sull’ekphrasis, sul ruolo della descrizione nella storia dell’arte e, più in generale, sulla cultura visuale, sembra derivare proprio dall’aspetto che più ha diviso i loro lettori. In particolare, secondo l’autrice, l’insolito rilievo conferito alla propria voce e persona sia da Clark che da Alpers è ciò che ha permesso loro di investigare nel modo più efficace i limiti del vedere e del descrivere, accettando senza riserve la non neutralità di qualunque tentativo di tradurre le immagini in parole. Nel rivendicare l’importanza del «guardare» e del «pensiero» articolato attraverso mezzi puramente visivi, entrambi i libri paradossalmente riaffermano lo specifico potenziale euristico della scrittura. This article proposes a comparative reading of T. J. Clark’s The Sight of Death (2006) and Svetlana Alpers’s Roof Life (2013). Written by renowned art historians, both books are strange, hybrid objects – non-fictional works that consciously blur the line between art criticism, diary, and autobiography, while reflecting on the worth and limits of «looking» and «describing» as critical practices and human experiences. The author acknowledges Clark’s and Alpers’s extreme self-awareness as writers and the consequent need to address their writing as writing in the first place, by analysing their use of structures, returning motifs, tropes, and photographic reproductions. Their most valuable contribution to the ongoing debate on ekphrasis, on the role of description in art history, and on visual culture more generally, seems to stem precisely from what has proven more divisive in their reception. In particular, the author argues that the unusual prominence given by both Clark and Alpers to their own voice and persona is what allowed them to explore most effectively the limits of sight and description, fully embracing the non-neutrality of any possible attempt at translating pictures into words. While advocating the importance of «looking» and the amount of «thought» that happens through purely visual means, both books paradoxically restate the heuristic potential of writing. In several respects, two books could not be more different than T.J. Clark’s The Sight of Death (2006) and Svetlana Alpers’s Roof Life (2013). Despite their stylistic and ideological distance, they both resonate with fundamental concerns that are rooted in the experience of every art historian, or at least of those art historians who do not consider the essential – and ultimately inevitable – critical practices of looking at works of art and describing them as neutral, unproblematic activities. Although it is on this deep level that the two books spark a worthwhile comparison, a number of more superficial similarities should not be overlooked. Both books were published by Yale University Press, as clearly reflected in their careful graphic set up, which especially in the case of Clark is strikingly balanced and thought through. Both Clark and Alpers are renowned art historians, who spent most of their academic careers at Berkeley and whose work has been acclaimed, but also heavily criticised. While being credited with fundamental critical acquisitions, their books have often been divisive in terms of their reception. If it is probably simplistic to locate their work in the area of the so-called ‘New Art History’, it is reasonable to see them as constantly committed to innovating their discipline and pointing out the flaws and limits of traditional approaches. A less radical intellectual freedom would have probably prevented them from indulging in the worst sin for most rigorous academics: writing about themselves and their subjective experience. Both books are non-fictional works in which the narrator-viewer points explicitly to the flesh-and-blood person – and celebrated academic figure – whose name appears on the cover, with an identification that is assumed at all times. I will argue that it is precisely this indulgence, no matter how disturbing or controversial, that enables The Sight of Death and Roof Life to get to the heart of the master problem of art history – translating things seen into words – in illuminating ways. Especially in the case of Clark, the identification of the book’s intended audience is indeed problematic, as the readers he actually aims to address are not the members of the cultivated minority that is likely to look for or come across a book on Poussin. Despite this undeniable contradiction, it would be unfair to label The Sight of Death as elitist without admitting that very few scholarly books could influence and provoke their readers (for the good or for the bad) as powerfully as this one. Clark’s and Alpers’s readers, even the most irritated ones, will be compelled to look at works of art with new eyes – and perhaps decide to allow themselves the time to look for the sake of looking, without prejudices and second ends. This outcome would be enough to make these books worthwhile, even if everything else were wrong or useless in them – which is not the case, as long as we do not ask them to become what they definitely do not want to be, scholarly writing in the traditional sense. Consistently, I have tried to respond to both authors’ extreme awareness as writers – that is, to their definite stylistic choices and sharp sense of writing as a way of thinking – by focusing on their use of structure, returning motifs and illustrations, rather than simply on their arguments. The verbal description of works of art sits at the core of both books, whose polysemous titles however suggest two very different approaches to the problem. The Sight of Death fundamentally encapsulates an interpretation of Poussin’s Landscape with a Man Killed by a Snake (1648; National Gallery, London), which Clark developed through several months spent looking at the painting (while it was on loan at the Getty Museum, Los Angeles) and taking notes about it on an almost daily basis – a process showcased in the subtitle (An Experiment in Art Writing) and recorded in the diary entries that constitute the book itself («A record of looking taking place and changing through time»). Conversely, Roof Life is concerned with no specific work of art, but rather with a whole life spent looking at art and describing it. In order to reflect on what makes the act of looking worthwhile, Alpers’s gaze rests on things as disparate as shadows on a wall, photographs, drawings, menus, fruit and vegetables displayed on market stands. Both Clark and Alpers advocate the importance of «looking», which, they claim, paradoxically needs to be defended and reaffirmed in an age that thinks of itself – and is regularly thought of – as visual. […] spending time looking out my window and matching words to what I see makes me feel an odd-man-out in a world in which people don’t stop to look. […] The challenge to looking is the visual age itself. […] Looking is under threat. For lack of use a medium is being lost. The difference in my record was that I was conscious of being an art historian/critic in the studio and taking notes. I was conscious of being a maker used to working in one medium observing a maker at work in another. In this respect, Clark’s stance is more complex, as The Sight of Death engages with art history and art criticism as institutionalised scholarly practices while consciously forcing their limits. This attitude is conveyed in the preface and, most evidently, in the subtitle, An Experiment in Art Writing, where the verbal shift from «criticism» (not to mention ‘history’) to «writing» is true to the nature of the book. It is this genuinely liminal status (art history/criticism and not art history/criticism) that made the experiment appear too bold to some readers and not brave enough to others. If the obtrusive presence of the viewer-writer and his absolute centrality in a series of idiosyncratic annotations about paintings is what annoyed more conservative reviewers, more radical readers attacked Clark’s concessions, indeed very limited, to traditional scholarly methods and editorial conventions (references to textual sources, endnotes, and captions accompanying illustrations). Here is why the stress has to fall, it seems to me, on the specificity of picturing, and on that specificity’s being so closely bound up with the mere materiality of a given practice, and on that materiality’s being so often the generator of semantic depth – of true thought, true stilling and shifting of categories. I believe the distance of visual imagery from verbal discourse is the most precious thing about it. It represents one possibility of resistance in a world saturated by slogans, labels […]. Hence, Clark’s engagement with the apparently least political of topics, a close analysis of two paintings by Poussin, should not be considered at odds with his long-established radical-leftist perspective. On the contrary, he claims «the ability of these paintings [his ‘conservative’ Poussins] to speak […] to the image-world we presently inhabit, and whose politics we need such (reactionary) mirrors to see», in an effort to counter the «constant, cursory hauling of visual (and verbal) images before the court of political judgment» promoted by the same Left-wing academy which is likely to attack his book. Just as Clark’s political agenda is inseparable from the texture of his scholarly work, so The Sight of Death as a «small, sealed realm of visualizations dwelt in fiercely for their own sake, on their own terms» reacts to the dismissive treatment of images encouraged by his new «enemies». Poussin’s thought about these matters does not take the form of a set of propositions. […] Of course these things are paraphrasable (what else have I been doing for the past hundred pages? […]), but they cannot be paraphrased, or held in the memory, very effectively. That is why they ask to be gone back to. None of this means that writers on art should spend their time wringing their hands over painting’s ineffability; but they should think about why some visual configurations are harder to put into words than others. And about whether there is an ethical, or even political, point to that elusiveness – whether we’d be better calling it resistance than elusiveness. While contrasting Poussin’s self-stated «profession of mute things» with the general verbosity of art historians, Clark does not attack descriptive practices specifically. However, it is clear that the hundreds of pages of description that constitute his experiment are haunted by a thorough awareness of the conceptual and practical flaws of description as an interpretive tool. While brilliantly pointing out the fragile and tendentious nature of explanatory or interpretive description, outstanding scholars such as Michael Baxandall and Jaś Elsner have concluded that art history as a discipline could not possibly do without it. For Elsner, essentially all art history is ekphrasis and a certain way of combining ekphrasis and photographic reproductions. From an opposite but equally radical standpoint, James Elkins has reflected on art history’s problematic «relation to the detail» and on the violence implicit in any act of visual analysis. Clark himself is not unaware of the dark underside of meticulous looking, as he shows by acknowledging the tension between «seeing» and «probing into». In Roof Life, the centrality of describing is attested to by the massive presence of descriptions of all kinds, which constitute a large part of the book: these include Alpers’s own descriptions, descriptions quoted from sources, and comparisons between different descriptions of the same object or place. However, meta-textual references to the practice of art historical ekphrasis – and description tout court – are rarer than in Clark, despite the more obvious connections between Alpers’s oeuvre as a scholar and the theme of ekphrasis. This is probably due, on the one hand, to the greater emphasis she places on «looking» and what makes looking worthwhile; on the other, to the fact that Roof life is in no way ‘a study’ and its connections with the field of art history are looser than the ones still present in Clark’s experiment. The greater freedom Alpers allows herself is reflected in the internal diversity and multiple layers of the book’s structure, which includes five heterogeneous chapters preceded by a ‘Beginning’ and followed by an ‘After words’. Each long chapter is subdivided into an irregular number of sections with individual titles, working mainly as a sequence in chapter 1, while responding to thematic arrangements in the other chapters. In fact, the first chapter (‘The Year 1905’) is by far the most narrative and the most concerned with chronology. The fascinating reconstruction of the story of Alpers’s Russian grandfather (Wassily Leontieff) matters less as a biographical (and auto-biographical) piece, or as a case of the writer gathering «historical details» as a trained scholar would, than as an introduction to the theme of «roof life». The ‘roof’ attitude is first recognised in the grandfather’s detachment from events: he is described as always having a «distant view», as being always «at a remove», always behind things or ahead of them, never in tune with his time. Conversely, chapters 2 and 3 abandon chronological concerns and are structured around a series of topics or episodes. In particular, the eponymous chapter (2, ‘Roof Life’) displays a complex internal organisation, essentially spatial and horizontal, largely dominated by description. The dimension of time is still crucial, but its focus here lies mainly outside history, in the cyclic form of sunrises and sunsets, lights and shadows seen through the windows. Consistently, the existential attitude of the grandfather turns into a way of looking at things. After the dense and conceptually decisive pages that conclude the third chapter (‘Only looking’) – to which I shall return – chapter 4 grants the readers some solace, while testing their patience with random notes taken by the author «stalking food» at markets and stores in different cities over a few decades. At first, it is hard to understand the place of these lengthy records of alimentary findings in the project of the book, especially because the notes are presented in their original and unedited form, albeit accompanied by comments added at the time of writing. However, the chapter becomes less surprising if one goes back to the book that gave Alpers her fame, namely The Art of Describing (1983), in which she focused on the non-narrative quality of Dutch painting, arguing that its human figures, domestic interiors, and still lifes had too often been analysed with «tools first developed to deal with Italian art». Furthermore, the solitary enterprise of cooking is explicitly compared to the isolated condition of writing, and the author’s «distant» take on food resonates with the overarching theme of the book. The final and shortest chapter is devoted to Alpers’ «experience of being photographed, or painted or drawn». In a sense, the gaze finally turns inwards, but through the mediation of external images, extensively described by the writer-sitter – portraits that allow the «self» to be «seen». By contrast, the experiment of The Sight of Death, its nature of visual performance and writing exercise, formally translates into a repetitive structure, without chapters, based on the simple chronological sequence of diary entries recording each session of looking and taking notes. The randomness of the process is intentionally preserved, despite the partial revision of the notes for publication («The first thing that caught my eye this afternoon… […] a second later, I noticed…»; «This morning almost the first thing I saw…»). Clark himself acknowledges the importance of this ‘informal’ format in his double definition of the book: a «sequence of diary entries» and a «study of two pictures by Poussin», a diary and a monographic treatment of two paintings turned into one by the unique and obsessive experience of seeing the paintings repeatedly. Especially in the first part of the book, the more traditional questions of art history seem to drop on the page almost malgré Clark’s intentions, prompted by his ‘naïve’ experience of viewing under different conditions of light. For instance, «here is the first ‘scholarly’ question that seems to matter», he writes as he wonders about the original conditions of viewing of the two paintings. Later on, he makes clear that the answers he might be seeking in the literature on Poussin will respond to questions prompted by his «deliberately ignorant and exclusive looking». 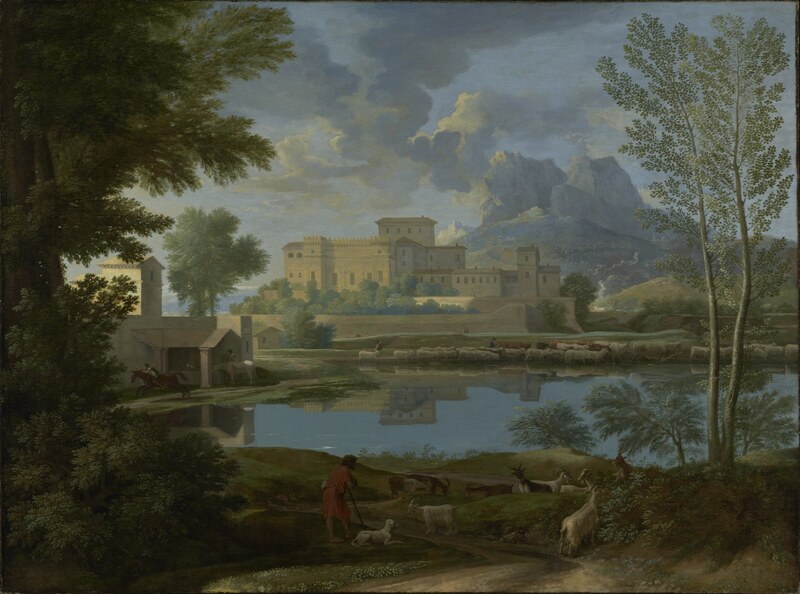 In the final part of the diary, written after the London painting had left the Getty, Clark recalls the months he spent reading about Poussin and looking at other paintings around the world. By his own admission, some of the earlier entries, in particular the ones displaying a higher number of references, were heavily revised by adding later notes to the original materials produced in Los Angeles. In keeping with Clark’s claim that in The Sight of Death he «submitted to pictures», the internal chronology of his rewriting moves from remarks based on pure looking to arguments based on primary sources (Félibien) and critical writings on Poussin (Louis Marin, Erwin Panofsky, Denis Mahon, etc.). The unusual concentration of scholarly elements in the entry of 8 February deserves a closer analysis in this respect. Partly as a reaction to the puzzling conclusions about Poussin’s handling sketched in the previous entry (7 February), Clark shifts his attention to texts, in which however he finds no decisive clues, ultimately realising that his words feel even farther from the painter’s handling that they did before. Therefore, he goes back to the pictures, this time engaging in a digression about the presence of tiny human figures in Poussin’s oeuvre: having lost his way in the process of pure looking and pure reading, he seems to seek solid ground in one of the most traditional tools of art history, the painter’s Catalogue Raisonné. As a consequence, six paintings by Poussin are reproduced in the following pages, followed by an extended quotation from the inventory of Jean Pointel’s collection, which included no less than twenty-one works by Poussin. The inventory was written with the help of the painter Philippe de Champaigne, to whose concise descriptions Clark interpolates a number of brief informative glosses that make the relevant painting identifiable for his readers. The combination of the two voices on the page, one speaking from the seventeenth century (in French) and one commenting from the present (bracketed, in modern English) conveys a respectful and minimalist attempt at putting paintings into words, in which even the simplest descriptions reveal their complexity through Clark’s comments on specific lexical choices made in the inventory. Possibly the oddest trace of the book’s placement at the limits of scholarly territory can be found in the index, which, alongside primary and secondary sources and works of arts, lists a number of themes, genres and critical concepts that are much more difficult to pinpoint («structure versus materiality», «momentariness, painting of», «repeated looking», «ethical balance», etc.). Would any reader be able to make use of them before having read the book, and, more importantly, would the use of an index be appropriate for a book that clearly asks to be read in its exact sequence of words and photographic reproductions? Jumping from one diary entry to a much later one (or vice versa) would mean exiting the experiential space Clark sets up for his readers, ultimately disrupting the process in which he asks them to participate by following him in his daily visits to the gallery and looking at Poussin ‘over his shoulder’. Neither The Sight of Death nor Roof Life are concerned with the act of looking in a generic sense. The point is not understanding how looking works or what it implies but showing why we should be looking more, and more attentively. In both books the artificial and lengthy viewing performances of the authors are meant to work against the average, neutralised habit of looking, yet the objects and rituals of looking are very different in the two cases. The Sight of Death focuses almost exclusively on two paintings by Poussin, Landscape with a Calm (1650-1651; J. Paul Getty Museum, Los Angeles) and Landscape with a Man Killed by a Snake (1648; National Gallery, London), exhibited in the same room during Clark’s stay at the Getty in 2000. In fact it was the exceptional chance of seeing together two works normally hanging in two different continents that called on the author’s attention, urging him to visit the gallery again and again, and then turn his private notes into a book. Similarly, the writing of Roof Life was allegedly prompted by an external event, which imposed an unexpected turn upon Alpers’s working schedules: the discovery of the true date and place of birth of her father, and consequently the reconstruction of her grandfather’s life. As shown by the volumes she kept on the shelf near her desk, all the other themes of the book were already in her mind, in a way or another, but it was this accidental circumstance that ultimately gave Roof Life its drive and shape. The different nature of the two events that inspired writing for Clark and Alpers chimes with the difference in the conditions and objects of their looking. In Roof Life, the main visual standpoint can be identified with the author’s New York loft, which becomes an observatory on what is seen through its windows and displayed within its walls, as well as a sort of time machine connecting different places and circumstances of her life. Therefore, the experience of seeing sits at the very centre of Alpers’s everyday life, in a familiar and private space (relatively stable, even though objects are sometimes moved around) opening onto a non-private one (changing and moving in unpredictable ways). Conversely, Clark is compelled to observe and take notes in a space necessarily shared with others, even though both experiences of looking are essentially solitary. In his account of the visits to the Getty Museum, the private dimension remains almost entirely outside the room where the Poussins are hanging: inside the gallery, a space of public display becomes a secluded space for focused visual meditation. The very few external facts mentioned in the diary are trivial circumstances of academic life, with only two significant exceptions: a brief anecdote relevant to a conversation on «iconoclasm in a revolutionary situation», set in the 1960s during a demonstration outside the National Gallery, which provides the background to Clark’s life-long fascination with Landscape with a Snake, and the quick record of a trip to the Western desert, which does not affect his subsequent perception of the Poussins. Clark devotes his painstaking exercise in looking to every inch of the two paintings’ surface, scrutinized to the extent of becoming blurry, and momentarily isolated from the composition as a whole. In this sense, his descriptions and the accompanying photographic illustrations implicitly raise all kinds of issues concerning the way high-definition reproductions of works of art are used in scholarly books, exhibition catalogues, and websites. A number of arbitrary decisions, including the (un)reliability of colours and the extreme enlargement or reduction of details, can contribute to misleading impressions, first and foremost with respect to the paintings’ relative dimensions. Even a prolonged looking at the actual works cannot easily eradicate the effect of their scale reproductions from our visual memory, all the more so because in real life we are rarely given the opportunity to examine in the same room any paintings we might need to compare. […] that actual interval and placement are things we know we don’t hold in the mind, clearly and distinctly. […] No reproduction will do the job of putting me back in touch with them: they are matters of actual size, actual highs and lows in relation to a viewing body. So I retrace my steps […]. The analytical mode doesn’t strike me as likely to come up with good answers. The response to this sort of question had better be descriptive, reiterative: here is what we are seeing in this particular case: we are seeing this much […] and maybe the “this much” […] is all the explanation we need. I know that the “this much” could simply be an effect of language. But that is for readers and viewers to decide: we all know the difference between a worked-up response and a worked-out one. Here Clark walks on shaky ground as he seems to posit description as a tautological process – something he himself criticises elsewhere in the book – and simultaneously to identify description and explanation, ultimately allotting to the reader the responsibility to distinguish thoughtful inference from useless speculation. In this respect, the ‘closeness’ of looking is no less problematic than its reiteration. Some details are singled out one day and seem to disappear on the next, verging on the barely perceptible; some others are visible from up close but not from a normal distance, and so on. What kind of «looking» is this? Could the author be stretching the possibilities of sight to an extreme? Microscopic descriptions are often accompanied by photographic reproductions of enlarged details, which constitute a double-edged tool in the hands of the reader. On the one hand, illustrations encourage readers to look for themselves, embarking on their own visual experiment through the pages of the book; on the other, the careful placement of pictures in the page layout and the interaction of description and reproduction tends to corroborate the relevant explanation. Significantly, in most cases Clark’s verbal description precedes the reproduction, so that the reader’s looking is influenced and directed by his words. As Elsner has noted, to some extent the use of illustrations in art history is always problematic, as photographs themselves are a form of «visual ekphrasis», no less biased than any verbal ekphrasis. However, The Sight of Death seems to counter this ambiguity by radicalizing it and consciously disclosing it to the reader. In fact, through its pages we are continuously alerted to focus on looking – an effective antidote to passive reception – and at the same time left wondering whether this kind of close looking would ever be possible outside the book, in real life. […] small as they are […] the figures are meant to fixate; and they do, once seen. Even from normal viewing distance, six or more feet away, they register. Equally, they can be repressed. I know I have noticed them before, looking at the picture in London. And now I realize that at least once over the past few days I half-remembered that there was “something there” […]. But the half-memory passed and did not lead to me actually looking: it was only today that I saw them, immediately […]. I for one am convinced that I’m still seeing the bending boy’s body and arms, not remembering them and reading in. The most gripping small figures in Poussin are those placed at this threshold between seeing and remembering. When recording these fluctuations in his notes, Clark often uses the verb «register» to mean ‘do not escape the eye’. This word evokes the sense of an almost technical monitoring of the level of things appearing and disappearing from view, as well as the idea of an inventory of the visible, to which not all details have access from the average distance at which we conventionally look at paintings. Another revealing word is «legibility», which occurs with reference to the figures that are clearly or barely visible and implies the inevitable verbal component of our viewing that T. J. Mitchell and others have emphasised. Therefore, while overtly claiming for the right of pictures not to be forced into words, Clark himself cannot avoid linguistic traps just as much as he cannot prevent his own carefully designed book from arbitrariness in the choice of layout and reproductions. In the latter respect, he does not take the radical leap into «writing with images» that Elkins would welcome, namely the inclusion of images without captions and call-outs, but in some sections of the book he does keep these interruptions to the minimum. If Clark looks up close, undermining sclerotized views essentially by way of enlargement and focus on details, Alpers looks from a distance, so that what counters passive looking is estrangement rather than enlargement: «things seen at a remove» appear «strange and so more clearly seen». Her title reveals the centrality of distance – height more specifically (Roof), be it physical or social – and at the same time the wider, existential scope of the book (Life). As Alpers herself explains, roof life stands for more than one thing at the same time: an object, as it «refers to what one discovers looking out from high windows with distant and therefore distinctive views onto the surroundings»; a state of mind, «the way in which one’s attention is heightened and sharpened by confronting things that are unfamiliar or that are made to appear unfamiliar by circumstances»; finally, a condition of life, «the condition of a life lived in that situation – the finding of and separating into one’s self. A writer’s life perhaps». Did the “shock of sight” I experienced in selling the Rothko and the house play a part in my interest in looking at things on my wall in New York? Or are things more tangled up than that? Did the experience of looking at art in the loft shape my account of seeing the painting and the house? I do not want to describe everything hanging there [i.e. the artworks on the walls of her loft], but rather to explain the interest there is in looking. […] Many words have been written and spoken about pictures. That is fine. I have done it myself. What is not fine is to think, as some do, that pictures are in need of words. If pictures need anything, it is eyes. I do not have a gallery I take people through. The problem is not matching words to pictures, but rather how to keep the interest of looking alive and well. The value of describing is acknowledged by Alpers by placing this passage right after a reference to her first important contribution as a scholar (on ekphrasis in Vasari’s Lives) and just before the actual description of the objects hanging on the walls: a strange, digressive description, which is placed in the final section (‘Only looking’, pp. 162-170) of the longest and most crucial chapter, ‘Roof Life’, and could be seen as a sort of epitome of the descriptive exercises that constitute the majority of the book. In fact, in Roof Life the first description is found as early as the second page, where it sets the scene of looking-describing and conveys in a nutshell what will be said about the loft and the views from it in the eponymous chapter. This introductory description is followed by several others: descriptions of buildings, of people – often mediated by paintings and photographs –, of moments of the day and light conditions. This is how it looked at first [descriptions in italics follow] […] I have tried again and again to find words to match the aqueduct. The striking thing is that the words come out almost the same every time. Perhaps it is not the repeated words that is striking (printed here as originally written), but rather the repeated need to look again at what I have described [further two descriptions follow, separated by a blank space and in fact very similar in phrasing]. It is hard to tell if the camera served as eyes, or if my eyes were focused by the camera. A bit of both. […] I am conscious that in a few instances the camera did not record what I saw, but became my eye – its possibilities of seeing determining mine. One of those […] is on the back [of this book]. Was it a sense that research into the circumstances of the view might distract me from attending to the experience of looking itself? […] But what about the particular experience of looking out from where I live? An interest for me is to try to match words to what I see. I have, for that reason, cannibalized my notes to feed what follows. But it strikes me that writing this is more like painting a picture. There is no beginning and no end. The task is to fill the surface of pages with looking. The files had nothing obvious to do with each other except that I was keeping them up. It was Roof Life that made the bits come together. The point of them all, by which I mean the point about record keeping but also about the things recorded, is the immediacy one discovers in taking a distant view – of a house, a work of art, vegetables and the other things in a market, oneself seen as others do. The immediacy of distance sounds right. What unifies the different sections of Roof Life, apart from its multiple identity as an object of seeing, a state of mind, and a condition of life, is ultimately the author who collects fragments of experiences in the physical space of the loft – the I-figure around whom all things seen and remembered orbit. The choice of discarding chronology is consistent with the absence «of beginning and end», which makes this book different from other kinds of writing Alpers herself tried her hand at earlier in her career. By identifying her task as that of «filling the surface of pages with looking», she downplays the sequential component of words and removes the word ‘description’ or ‘describing’. In so doing, she seems to put on hold the gap between seeing and describing, even though the previous comparison («writing this is more like painting a picture») builds on centuries of ekphrasis. Too many of the diary entries […] get into gear with a certain amount of fussing over light conditions, outside atmospherics, and how much or how little of the paintings I could see. I have abbreviated some of this, and realize that even so it will test the reader’s patience. […] But light and darkness have to be part of my story. I need to hold onto the pathos of these paintings’ materiality. The last thing I want to happen in the entries is for an ideal of interpretation to replace the odd, sunken, limited leftovers on the wall. Because paintings’ sensitivity to circumstances, I believe, is the other face of their strong, consoling distance from us – their luminous concreteness. They are not fully ours, not disposable and exhaustible, pre-eminently by the fact of their living (and dying) in the light of day. In fact, I would argue that in both books the prominent emphasis on looking as a physical experience, fully immersed in changing material circumstances, originates from an attempt to overcome the immateriality and dullness of describing. Far from claiming the neutrality of verbal description – both scholars are simply too sophisticated to endorse it – Clark and Alpers seem to point out the heuristic value of that non-neutrality, infusing description with new life by embedding it in specific viewing conditions, such as, for Clark, the bright or dull natural light falling in from the gallery’s «ceiling louvers», alternating or cooperating with artificial tungsten lighting («Wait for a different light on this»). […] if a picture is simultaneously available in its entirety, looking at a picture is as temporally linear as language. Does or might a description of a picture reproduce the act of looking at a picture? In particular, the choice of the diary format allows Clark to record and convey effectively the almost daily routine of looking and note-taking, reflecting his deeper concern with the transformations of looking over time, as well as with the constraints imposed upon the experiment by the limited duration of the paintings’ cohabitation at the Getty. Temporary inaccuracies, hesitations and contradictions were not necessarily erased in the process of revising entries for publication, because «looking taking place and changing through time» could be represented only «by chronicling it as it happened». Hence, it is not rare to find Clark correcting himself within the same diary entry, offering a fragment of writing in the making. A case in point is the entry of 26 January, which includes extensive self-commentary and pragmatically shows how one of the most basic practices of art historical description, namely the subdivision of a painting into a number of zones, is most arbitrary and often does not survive the test of a new seeing. We are still wondering whether Clark just took notes or also made a sketch for memory («I think the picture I drew yesterday of the basic sequence of spaces survives the test») when, suddenly, his discourse takes on a much stronger interpretive turn, moving to the observation of an area of the painting identified as a sort of ‘painting within the painting’ – an area that is then connected to the outcome of the close observation of another detail. The shift from the basic level of description – which we may naively perceive as neutral – to the highest level of speculative interpretation is so rapid that it is hard to be persuaded, and the perplexity fires back at description itself, pointing at its previously unnoticed arbitrariness. This is one of the points where we might be less inclined to follow in the viewer-writer’s footsteps, partly due to the fact that the elements he singles out in the washhouse in Landscape with a Calm would be very difficult to perceive without his verbal guidance and the help of a strategic full-page illustration isolating the detail (p. 35). The only sections of The Sight of Death in which the layers of authorial revision could not possibly be tracked coincide with the five poems, penned by Clark himself, which are inserted at different points in the book: Landscape with a Calm (p. 40), Pointel to Posterity (pp. 85-86), On the steps of the National Gallery (about the 1960s episode mentioned at the beginning of the previous entry; pp. 120-121), Landscape with a Man Killed by a Snake (pp. 144-145), and Felibién’s Dream (pp. 148-149). The poems are printed in their definitive form, even though we are advised that they were the result of a longer writing process, as the relevant entry provides the date of the «first viable draft». The author explicitly acknowledges the relief their composition granted him, first of all because reading the Poussin literature «instrumentally», in preparation for the poems, allowed him to lower his expectations about the scholarly writings themselves and made their effect upon his own critical writing «more indirect – less superintended». However, something more crucial seems at stake here. In the space of the poems, the task of describing does not appear to be as central as it is for the prose entries and the duty of keeping to the pictures is reduced to the minimum, so that a greater freedom can be enjoyed, without implying a diversion from the main aim of the experiment («I do think a good poem about Poussin would be the highest form of criticism»). I have come full circle to the description with which I began of the man who was my Russian grandfather. The account of his life in his times is like a piece of Baltic amber held in the hand. Pieces of things, inclusions as they are called, are preserved within it – inaccessible, but clear to the eye. As a mise en abyme of the book itself, this powerful simile conveys the process of filling the pages with looking and the tension between looking and describing, between inventory and description, reflecting Alpers’s interest in «finding, assembling, and crafting», which can be detected also in her scholarly writing proper. Detachment as we have been considering it depends on engagement. It is one of the forms that engagement with experience can take: things seen at a remove, appearing strange and so more clearly seen. It touches the heart of the matter of this book. Though rather than practicing objectivity (Chekhov) or detachment (Conrad), I prefer to speak of taking a distant view. “Sand”, here separated from “thousand”, has a diminishing effect on the word that follows. […] what we adduce as formal is in fact not the object’s own object-hood and existence as matter but that ekphrastic transformation which has rendered it into a stylistic terminology. How secure can we be that such ekphrastic formalism […] is no more than a carefully crafted verbal translation whose discursive functionings are as far from the actuality of objects as any other interpretative description? As regard the local, material appearances of paint, and what those appearances signify, writing on art is almost never convincing. It overwrites or underwrites them; it strains too hard to see the metaphor in a way of doing things, or is too anxious to respect the way’s muteness and matter-of-factness, and declines into a catalogue leavened with hints. Clark tries to protect his writing from these antithetical sidesteps (over-interpreting and tautological listing) by refraining for once from his usual method in this book – close looking, essentially – and instead working just from memory («recalling the sorts of passage […] that stopped me dead in my tracks the last few days»), so that we can imagine him sitting or standing at a normal distance from the painting, with his notepad in his hands. It is here that the wording comes closer to some of Alpers’s sentences («I’ll do it from memory, from a distance, not moving in close to check») and to the unpretentious form of an «inventory», which she herself uses. However, gradually ideas take over, as Clark superimposes them on the list and indulges in generalization («Poussin is […] the painter of the unnoticeable», and so on), following a logical pattern similar to the one adopted in the case of the washhouse in Landscape with a Calm. The interpretive rapture dies out as quickly as it had kindled, sealed by a conventional rhetorical move – mentioning the details he could (but will not) describe – and a consciously anticlimactic coda («It seems futile to try to describe them all. […] But I’m tired – and kids with squeaking Nikes are taking over the room…»). When Clark actually engages with Poussin’s handling, he does so by looking so closely that his own impressions happen to be altered, contradicted or dissolved in the very process of looking. For example, when analysing in detail the zone with the passers-by and the bagpiper in Landscape with a Calm, at first he contrasts the multiple small patches of colour that produce the small human figures to the single green line in which the «trace» becomes «the thing it is [the trace] of»; he then moves on to the blue of the lake, which seems to show the same pictorial treatment of the green line, but on closer inspection reveals itself as fragile, made-up and tentative. In other words, visual analysis suggests that the two logics Clark identifies in Poussin’s material handling of painting are not just present in the same painting, but at times are literally at work within each other, even when one of the two seems to dominate, as in the surface of the lake. I seem almost to be setting myself the task of recapitulating in words every move in Poussin’s process of manufacture […]. I know there is something excessive, and maybe ludicrous, to entering this closely into someone else’s imagined world. But these diary entries are partly meant as an argument in favor of such entry. They are meant as an apology for (a glorification of) painting’s stasis and smallness and meticulousness […]. This is the real pathos in what I am doing, I think: that ultimately these entries are my way of arguing with the regime of the image now dominant; and inevitably, therefore, I shall call on my pictures to do too much work – to stand for an ethics and politics I find I can state only by means of them. But one side of me goes on believing that Poussin will let me. The harsher adjectives used in this passage («excessive»; «ludicrous») are not far from Elkins’s attack on visual analysis, yet Clark’s admission of his own excess is one with his defence of it, on the basis of a greater good, namely a ‘political’ statement against the current state of looking and imaging. The active involvement of the reader is crucial to the book’s aim, as Clark imagines a viewer most likely to be challenged and puzzled by Poussin’s qualities of «stasis and smallness and meticulousness», which are at odds with the dominant image regime. In this respect, the careful placement of illustrations and descriptions in the layout exerts an ambivalent influence, eliciting from the audience a combination of heed and freedom, passive and active participation. On the one hand, reproductions are called to stand for the concrete element the words cannot account for, providing «that bottom line of ‘thereness’ in which the text’s argument can finally be grounded». While «pointing out», deictics, and direct addresses to the reader had been central in ecphrastic writings since antiquity, explanatory description in art history and criticism was deeply affected by the introduction of the reproduced object, implying a shift from informative to «ostensive» discourse, as Baxandall observed. On the other hand, Clark’s invitations to the reader set up the experience of the book without exhausting its potentialities, which lie in the ever-changing interactions of reading and looking. In particular, The Sight of Death displays a significant number of operative instructions addressed to the reader-viewer, who is encouraged to perform specific visual experiments – with the help of photographic reproductions – in order to verify the arguments proposed on the same page. The most straightforward invitation to the reader concerns the simple act of looking at a certain detail or motif («Look at the drawing of the cornices…»; «Look at what he does with shrouded bodies…»), at times made easier by the photographic enlargement of the relevant detail on the facing page («Look at every stroke… […] Look at the one […] Notice the stone on the foremost shore in Snake»). A more complex visual operation is requested when the reader is asked to hide a given section of the picture in order to perceive the visual ‘weight’ of that section or its colour in the overall composition («If you do the business of blocking out the two of them with a thumb, you see immediately how…»; «Without that yellow (using a thumb to block it out) the picture is soulless»). Whenever a comparison between two or more paintings is invited, the reader might have to leaf backwards and forwards through the book to create the visual conditions for the actual confrontation. The great majority of photographs reproduce Landscape with a Calm and Landscape with a Snake or details of them, alongside other paintings by Poussin, whereas there are just four illustrations of works by other painters (Valentin de Boulogne, Chardin, Pissarro, Manet), plus a detail of Antonio del Pollaiuolo’s tomb of Sixtus IV, a relief from Selinunte and ancient sarcophagi. The strong unbalance in numbers induces a fundamentally self-enclosed experience, in which readers-viewers are asked to stay with the two Landscapes, to be absorbed by them alone – very much in line with the steady focus suggested by the two epigraphs placed after the preface. Consistently, the inclusion of the few references to other painters does not depend on their relevance to the argument, as we would expect in more traditional art history; rather, on their ‘accidental’ role in the author’s process of thinking and then writing, which is shared with the readers alongside the looking. For instance, it is difficult to miss the sophisticated pleasure of Clark the writer in using Pollaiuolo’s scorpion by contrast, as a witty way to explain his use of the word «dialectic», or the way he overplays his unconscious associations to modern paintings at the expense of more traditional comparisons («I realize that unconsciously I have been reading the path’s final orientation by analogy with the one at right in Pissarro’s great Climbing Path at the Hermitage»; «I saw in my mind’s eye a passage I had often looked at in the mid-ground of Manet’s Music in the Tuileries […] Again, the association came completely unbidden»). Compare the citadel in Calm […] with a light falling on it that spells out its intricate structure rather than its solidity. […] ‘Illumination’ would be exactly the wrong word for Calm’s effects and behaviours of light. A further level of complexity is reached when memory and imagination are involved, for instance asking the readers to recall something in their mind («Think of […]»; «Think of…»), to match the description with a mental image or to visualise what is not actually present in the painting («Imagine a man as substantial as the one on the move in Snake […] running into the world of Landscape with a Calm. The picture’s whole mode would collapse»). Here the author extends his influence beyond the control of the reader-viewer’s physical sight, stepping into the realm of inner vision and the potentially infinite pictures his writing may find or produce there. Therefore, for his readers, the perceptive energy accumulated by spending so much time in the company of two paintings paradoxically opens up numberless other experiences of interior seeing and active «looking», working against the apathy of the visual age. Instructions addressed to the reader-viewer are much rarer in Roof Life, as there are no photographic reproductions for the text to point to, with two prominent exceptions. 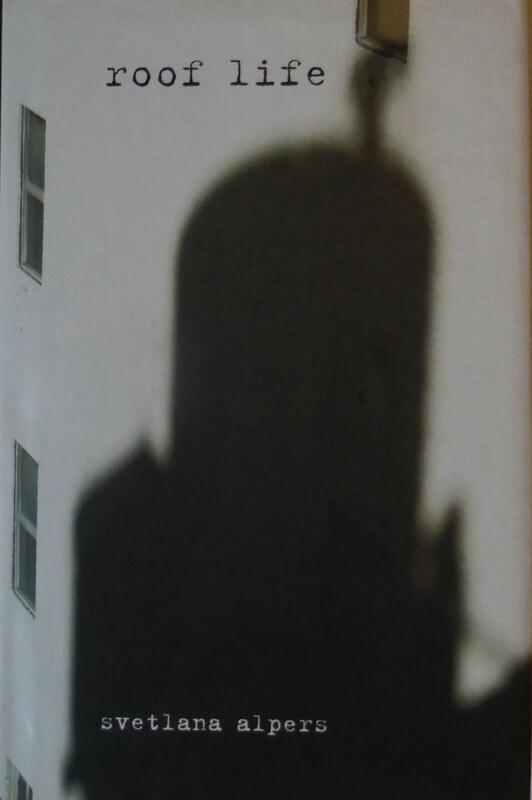 What caught my eye was not a shadow, nor even my shadow, but my body as a shadow. That was me, in a different sort of distant view […]. Since then I know that at night, if I turn on the bedside light and walk down the hall, I will appear as a shadow on the front door. […] On one occasion, I took my sturdy Nikon from the back of the filing cabinet and made the photograph that appears on the back of this book. In The Sight of Death, the front cover image shows the powerful close-up of a human face in terror, providing an effective match for the book’s title: a key detail from Poussin’s Landscape with a Snake, enlarged to the point of being almost unrecognisable. While there is no picture at the back, the outer cover encloses a sort of ‘internal’ cover, composed of two leaves of opaque paper, each showing a detail of the lake and cattle from Landscape with a Calm, inserted respectively after the front cover (detail with the shepherd in blue) and before the back cover (detail with the bagpiper). This visual arrangement brings forth the centrality of Landscape with a Snake in Clark’s overall argumentation, while physically folding the whole experiment in the reflecting waters of the lake, which are the object of his most meticulous analysis and are essential to his interpretation of Landscape with a Calm. Affliction and monstrosity, we have to re-learn, are always the true face of utopia – the face it presents as it leaps up out of the immoveable, out of the insufferable everyday. I think that much of this is articulated […] in Landscape with a Snake. I have held back from saying this until now because I hoped it went without saying. Perhaps I was frightened that putting the ultimate point to the exercise into words would immediately read, for some, as a brutal or desperate allegorization. After welcoming his readers through an image of horror (on the front cover), Clark bids them farewell with an image of hope and resistance, the open arms of humanity and a potential embrace, whose possibility paradoxically depends on the acknowledgement of the horror itself. The following and final entry, dated 14 November 2003, works as an anti-climax and an epilogue, placed outside the experiment proper, as suggested by its opening words («And so back to reality»). The kind of looking I have been going in for over the past weeks is special, I recognize: whether I like it or not, it is looking generated out of writing. It is a bit over-eager as a result, a bit gustatory. […] But it seems to me dim-witted to fuss about this, as if words were ever going to constitute a real threat to the paintings they boa-constrict. Paintings are perfectly able to take care of themselves. This is different from the real problem of knowing when an interpretation should stop […]. […] the “this” goes to full power of Poussin’s thought. The “this” repays looking at repeatedly for the same reasons that a great convergence of metaphor, rhyme, and prosody invites the reader of a sonnet to say it out loud over and over, just to be sure again what it physically, sensuously amounts to. Clark’s keen attention to tropes is confirmed, indirectly, by his comments on the writing of other scholars, which create a rich texture for his audience to unravel. For example, only by leafing back to the whole reproduction of Landscape with a Snake can the reader-viewer make sense of Mahon’s comparison («the water in Snake, which seems as hard as crystal»), which stands out to Clark as «a trope worthy of Diderot». By highlighting the weight and thickness of descriptive imagery, The Sight of Death suggests that there is a specific and irreducible amount of thought that is made possible by the use of language to describe pictures, just as much as there is a kind of thought that is expressed through a painter’s unique composition and handling. As M. put it, “Past tense and cerebration. What a description will tend to represent best is thought after seeing a picture”. His emphasis was double: that reports of seeing properly take place in the past, and that words are able to describe not what is seen but thoughts about having seen it. The point is not to celebrate language, but rather to make clear its peculiar status in addressing pictures. The visual interest of pictures, on this account, is something prior to or other than language. Being told that that is an impossibly romantic attitude did not make a difference to us. Clark would probably agree even on the last, more personal, take on the matter, while being more explicit about his own trust in writing – a trust that both The Sight of Death and Roof Life suggest, and Alpers herself shares, having «spent a lifetime writing». Although descriptions inevitably come after pictures, it is worthwhile not to abandon the struggle to find the right words, trying «harder before admitting defeat». On the one hand, «writers about art» should do their best to keep details undefined when they are; on the other, they should not dismiss the potential of their specific means – including tropes and inconclusive, self-sufficient insights – in generating valuable «thought» about the very same pictures they will never be able to describe. 1 T.J. Clark, The Sight of Death. An Experiment in Art Writing, New Haven and London, Yale University Press, 2006; S. Alpers, Roof Life, New Haven and London, Yale University Press, 2013. The first time I heard someone mention The Sight of Death was at a conference about art history and literature back in 2008. For some reason, that title would not leave me and a few months later T. J. Clark’s book was on my shelf, where it remained for years, unread. The persistent call of the spine was muted by my irrational fear that the book would lose its power if I opened it at the wrong time. It was only after discovering Svetlana Alpers’s Roof Life – a gift from a friend – that I knew it was the right time to read it, and so I did. 2 In thanking their editors, both Alpers and Clark explicitly acknowledge the uncommon format their books required. 3 For an exemplary combination of high praise and poignant criticism directed at Clark see D. F. Jenkins, ‘Farewell to an Idea’, The Cambridge Quarterly, 30.4 (2001), pp. 349-358, which reviews T.J. Clark, Farewell to an Idea. Episodes from a History of Modernism, New Haven and London, Yale University Press, 1999. See also the review by K. Harries, The Art Bulletin, 83.2 (2001), pp. 358-364 and O.K. Werckmeister, ‘A Critique of T. J. Clark’s Farewell to an Idea’, Critical Inquiry, 28 (2002), pp. 855-867. K. Herding, ‘Manet’s Imagery Reconstructed’, October, 37 (1986), pp. 113-124 discussed the harsh reception of Clark’s The Painting of Modern Life: Paris in the Art of Manet and His Followers (1984) among American critics, which in his view depended at least partly on his combination of methods («social criticism and structural analysis […] semiotics […] iconography», p. 123) and his «unconventional diction» (p. 124). On Alpers’s most famous work (S. Alpers, The Art of Describing: Dutch Art in the Seventeenth Century, Chicago, University of Chicago Press, 1983) see L. Marin, ‘In Praise of Appearance’, October, 37 (1986), pp. 98-112 and the more negative review by J. Stumpel, The Burlington Magazine, 126 (1984), pp. 580-581. On the mixture of exceptional descriptions and bold arguments in Alpers’s critical writing see the review of S. Alpers, The Vexations of Art: Velazquez and Others, New Haven and London, Yale University Press, 2005 by M. Westermann, The Burlington Magazine, 148 (2006), pp. 848-850. 4 «The very people Clark needs to confront about […] the image’s supposed hegemony […] those very people are the ones who will not read a book on Poussin» (J. Elkins, What is Interesting Writing in Art History?, chapter 7, [accessed 15 July 2016]). 5 On the underestimated problem of «writing as writing» in art history see J. Elkins, Our Beautiful, Dry, and Distant Texts: On Art History as Writing, University Park, Penn State University Press, 1997, and What is Interesting Writing in Art History? [accessed 10 July 2016]. Cf. also <http://www.jameselkins.com/index.php/experimental-writing/256-writing-with-images> [accessed 15 July 2016]. 6 T.J. Clark, The Sight of Death, p. 5. 7 S. Alpers, Roof Life, pp. 125-127. 10 For a very thorough and wide-ranging review of The Sight of Death, see J.A. Van Dyke, ‘Modernist Poussin’, Oxford Art Journal, 31.2 (2005), pp. 285-292, who points out the contradictions in Clark’s experiment («a strong affirmation of the aesthetic, conceived as an emancipatory, resistant, truly human form of cognition, yet all too uninterested in the historical critique of its contradictory conditions of possibility») and identifies it as «a contribution to a Berkeley School of Art History», which would include Alpers herself, especially with reference to S. Alpers and M. Baxandall, Tiepolo and the Pictorial Intelligence (New Haven and London, Yale University Press, 1994). While fully acknowledging the book’s intelligence, James Elkins observed that Clark might have limited the experimental potential of his work because he felt «the residue of disciplinary expectations» (J. Elkins, What is Interesting Writing in Art History?, chapter 7, [accessed 15 July 2016]). For a more positive review see J. Harris, ‘In Spite of Everything’, The Threepenny Review, 111 (2007), pp. 25-26. 11 T.J. Clark, The Sight of Death, p. 36. 12 See, for instance, pp. 93, 118, 125, 132, 161. 13 T.J. Clark, The Sight of Death, pp. 122-123 (emphasis mine). 16 Ibidem, p. 184. For the central role of ‘thought in painting’ in Clark’s interpretation of Poussin, see also p. 54 («Any account of Poussin as a painter, even one like mine that wants in the end to talk about the ways his netteté becomes a quality or inflection of thought, not merely the expression of a thought already formed, will always have to return to Félibien’s sense of things») and p. 149 («[…] the attitude to knowledge implied in Poussin’s way of painting […] the balance I have spent most of my time describing»). 18 «Every evolved explanation of a picture includes or implies an elaborate description of that picture» (M. Baxandall, Patterns of Intention. On the Historical Explanation of Pictures, New Haven and London, Yale University Press, 1985, p. 1). «Far from being a rigorous pursuit, art history […] is nothing other than ekphrasis, or more precisely an extended argument built on ekphrasis. […] whatever the particular agenda or argument – art history is ultimately grounded in a method founded on and inextricable from the description of objects» (J. Elsner, ‘Art History as Ekphrasis’, Art History, 33 (2010), pp. 10-27; on p. 27, The Sight of Death is mentioned and described as «a spectacular […] and self-conscious example of the extended genre of art-historical description – constructed in the form of a personal diary […]»). 19 «Art history has an open-ended and largely untheorized relation to the detail: it is seldom clear how closely it makes sense to look» J. Elkins, ‘On the Impossibility of Close Reading’ [accessed 10 July 2016]. «[…] the dissection of the bodies in the photographs is structurally similar to the dissection of any image by any eye that aims at being systematic, rational, and thorough. The conclusion I draw is that visual analysis is not a neutral, heuristic, preparatory step in the understanding of images. It can be a cold, and cold-blooded, dissection of the image: a powerful, invasive and destructive operation that severs the image from itself, cuts it into pieces, and leaves it dismembered, helpless, and ready for interpretation» (J. Elkins, ‘On the Complicity Between Visual Analysis and Torture: A Cut-by-Cut Account of Lingchi Photographs’, in J. Elkins and M. P. Di Bella (eds. ), Representations of Pain in Art and Visual Culture, New York, Routledge, 2012, pp. 75-87, p. 77). 20 T.J. Clark, The Sight of Death, p. 5. 21 Of course here I am referring to S. Alpers, ‘Ekphrasis and Aesthetic Attitudes in Vasari’s Lives’, Journal of the Warburg and Courtauld Institutes, 23 (1960), pp. 190-215, which Alpers herself mentions in Roof Life, p. 163. On the same page, she writes: «From the start I thought of writing about pictures – using language about visual things – as a strange thing to do. That was part of its appeal. It is different from using language to write about texts». 22 «He [Alpers’s father, in particular in his attitude as an art collector] had an eye, as they say. It was not an art historian’s eye. He took joy in what he saw, loved, and lived with and did not worry about historical details. I am the one who, in taking on objects, sought to secure their identity» (Ibidem, p. 167). 23 Ibidem, pp. 18 and 25. 24 Among the few exceptions to this rule, the most prominent is Alpers’s account of her ‘visual’ experience of 9/11 (Ibidem, pp. 102-105). 25 S. Alpers, The Art of Describing, p. xix. «There seems to be an inverse proportion between attentive description and action: attention to the surface of the world described is achieved at the expense of the representation of narrative action» (Ibidem, p. xxi). 26 See S. Alpers, Roof Life, p. 213 («To stand at counter or stove is a withdrawal comparable to the withdrawal to my desk to write») and p. 211 («There is so much pleasure to food that comes prior to sitting down to eat. That is to take a distant view of it, to return to the theme of this book»). 28 «My body drilled into my consciousness through being drawn over time is a self seen» (Ibidem, p. 225). 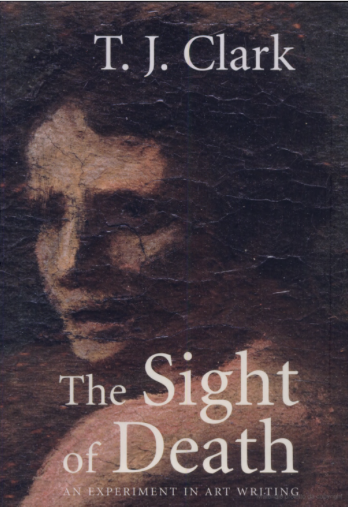 29 T.J. Clark, The Sight of Death, pp. 15 and 43. 32 «[…] the deliberately ignorant and exclusive looking I’ve been persisting in ought now to give way to reading and looking more widely. Various questions have cropped up» (Ibidem, p. 149). 33 «I went to see both paintings again occasionally over the next two years, and others connected with them […] and I made my way through the Poussin literature. Some of what I learned there no doubt affected my rewriting of the diary when I turned back to it. Once or twice I specifically added a brief section drawn from later notebooks […]» (Ibidem, pp. 200-201). 34 Ibidem, p. 164; on Félibien, to whom Clark acknowledges an unadorned precision he would presumably wish for himself, p. 54; on Marin, pp. 82-85; on Panofsky, pp. 93-97; on Mahon, pp. 110-114. 35 Consistently, Clark often displays a contradictory attitude towards the historicist take of traditional art history. For example, when describing a fragment of Landscape with a Snake as «Venetian» (p. 123), he shifts from the vague assumption of a sort of timeless ‘Giorgionism’ to the need to find out what paintings by Titian and Bellini Poussin could actually know. Elsewhere, he questions the usefulness of researching «period terms» (p. 141) while acknowledging how the «intuitions» brought about by looking need to be checked «against the facts» (p. 102) and can be adjusted by subsequent readings. 37 «I look on my own. […] I do not need company in a museum. […] Certain friendships mattered much to me where art is concerned, but that was mostly in the writing, not the looking» (S. Alpers, Roof Life, p. 164). 38 Even the few references to «Anne», the author’s wife, are related mainly to their conversations about the paintings. 39 T.J. Clark, The Sight of Death, pp. 114-115, with reference to the same event that inspired the poem On the Steps of the National Gallery (pp. 120-121). 40 Ibidem, p. 168. A fleeting reference to 9/11 (p. 224) appears in an entry dated after the end of Clark’s six-month stay at the Getty (28 September 2001), during the time in which he was reading and looking at other paintings. The possible influence of the event on the writing of the book, though, is suggested in the preface (p. vii). 41 Ibidem, p. 166. However, Clark did make use of reproductions during the process of writing, which made him even more aware of how a copy could not be true to the original: «Landscape with a Snake stared at me in reproduction for many hours across my desk – as it does now» (Ibidem, p. 201). 44 «The photograph is a visual ekphrasis – interpretative, angled, chosen, made possible by a particular circumstance, the presence of a photographer in a specific time and place…» (J. Elsner, ‘Art History as Ekphrasis’, p. 13). 45 T.J. Clark, The Sight of Death, p. 51. 46 Ibidem, p. 44 (emphasis mine). 49 See W.J.T. Mitchell, Iconology: Image, Text, Ideology, Chicago, The University of Chicago Press, 1986, and Picture Theory: Essays on Verbal and Visual Representation, Chicago, The University of Chicago Press, 1994. 50 «The book does have call-outs, but only the ones Clark really needed. […] Mainly, and at heart, the book is a continuous narrative that flows around uncaptioned images – my informal definition for the project of which this text is a part [i.e. Writing with Images]» (J. Elkins, What is Interesting Writing in Art History?, chapter 7, [accessed 15 July 2016]). «My main subject, then, is fictional narratives, written in continuous prose, with interposed images, usually photographs. […] It matters, in this project, that images not have “call outs”: nothing should interrupt the text with a scholarly parenthesis, instructing the reader to see plate 35. Yet this isn’t a strict rule. In some places, Tim Clark’s The Sight of Death has these call-outs, because the exigencies of formatting a small trim-size Yale Press volume required some shifting around of pictures. But for the most part that book, and others that concern me here, make do without those interruptions» (J. Elkins, Writing with Images, [accessed 15 July 2015]). Cf. <http://www.jameselkins.com/index.php/experimental-writing/256-writing-with-images> [accessed 15 July 2015]. 51 S. Alpers, Roof Life, p. 71. 53 Ibidem, p. 71; S. Alpers, ‘Style Is What You Make It: The Visual Arts Once Again’, in B. Lang (ed. ), The Concept of Style, Philadelphia, University of Pennsylvania Press, 1979, pp. 95-118, p. 98. 54 S. Alpers, Roof Life, p. 161 (emphasis mine). 55 «But I make no excuse for postulating – this was partly the object of the exercise – that one kind of corrective to dogma is looking itself, pursued long enough» (T. J. Clark, The Sight of Death, p. 12). 56 S. Alpers, Roof Life, pp. 162-163. 57 For example, the house in St Petersburg (Ibidem, p. 10), her grandparents (p. 20), and sunrise and sunset (pp. 84-88). 58 Ibidem, p. 84 and p. 85. 59 In her review of The Vexations of Art, Westermann noted that in the book «Revelatory, finely discriminating descriptions abound […] Pithy translation of visual perception into words has always been Alpers’s strength, and, almost inevitably, it comes at the cost of overstating difference» (p. 849). 60 S. Alpers, Roof Life, pp. 86-87. 66 T. J. Clark, The Sight of Death, pp. 9 and 12. 67 Ibidem, p. 27 and p. 28. 68 «At the start you will see me making all of these mistakes. I am acting like an art writer. I am finding my range» (Ibidem, p. 9). 69 M. Baxandall, Patterns of Intention. p. 3. 70 T.J. Clark, The Sight of Death, p. 5 and p. 8. 74 Ibidem. As Elkins noted, this statement in fact remains unexplained: «Could poems contribute a different sense of imagined voices? Synesthesic images? Sentence fragments? If Clark had said more about this, I would have been more likely to follow him further into the more speculative passages in his diaries» (J. Elkins, What is Interesting Writing in Art History?, chapter 7, [accessed 15 July 2016]). However, Clark made his point slightly clearer in a conversation with Kathryn Tuma: «[…] I think that poetic language – language at maximum intensity and concentration, taking full advantage of the materiality of language itself – is about the best way we have of dealing with the world. But only if it’s good» (T.J. Clark with K. Tuma, ‘In conversation’, The Brooklyn Rail (November 2006) [accessed 20 June 2016]). 75 S. Alpers, Roof Life, p. 76. 76 «Not the taste of food but the finding, assembling, and crafting of it in various places I lived was what I noted» (Ibidem, p. 171). «In the ‘slow looking’ Alpers advocates, she places herself in art history’s own grand tradition, that of Richard Wollheim, Michael Baxandall and Michael Fried […] Unlike those authors, however, Alpers eschews dense and sustained philosophical argument. Instead she develops her insights from descriptions by a combination of aphoristic comment, telling anecdote and startlingly anachronistic comparison» (Westermann, review of S. Alpers, The Vexations of Art: Velazquez and Others, p. 849). 77 S. Alpers, Roof Life, p. 45, p. 43 and p. 35. 78 Ibidem, pp. 70-71 (emphasis mine). 80 Ibidem, p. 165 (emphasis mine). 81 T.J. Clark, The Sight of Death, p. 16. 83 Ibidem. See p. 125, where, after an unaccomplished attempt at describing a section of Landscape with a Snake, Clark concludes that «There isn’t a lot writing can do with performances like these besides point to them». In other words, at times a purely deictic mode, in its basic and pre-descriptive form, seems the only possible approach to a painter’s handling. 86 Ibidem, p. 28. See S. Alpers, Roof Life, pp. 78-79 («I decided to make an inventory…») and the list-description of objects on p. 83. 87 T.J. Clark, The Sight of Death, p. 39. 89 Ibidem, p. 62 and 63. For the whole analysis, see pp. 57-62. 90 The detail is on p. 42, while the ‘miniature figures’ are enlarged on pp. 44 and 45. 91 T.J. Clark, The Sight of Death, p. 42. 93 «Time and again, writing these entries, I imagine a viewer asking what Poussin could have thought was the point of this degree of barely perceptible detail […]. Perhaps I imagine such a viewer especially now, in our current circumstances of image production, when stasis and smallness and meticulousness are by and large the opposites of the qualities […] that visualizations are involved with» (Ibidem). The mismatch between the intended and the likely audience of Clark’s book, as pointed out by Elkins, seems probable also in this respect. 94 «The photograph is a kind of ekphrasis within an ekphrasis – a visual interpretative framing within a textual interpretative framing. The photograph promises that bottom line of ‘thereness’ in which the text’s argument can finally be grounded» (J. Elsner, ‘Art History as Ekphrasis’, p. 24). 95 «[…] the history of art criticism in the last five hundred years has seen an accelerating shift from discourse designed to work with the object unavailable, to discourse assuming at least a reproduced presence of the object» (M. Baxandall, Patterns of Intention, p. 8). 96 T.J. Clark, The Sight of Death, p. 28 and p. 55. 98 Ibidem, p. 154 and p. 166. 99 Ibidem, pp. 223, 171, 210, 56, 215, 225-226. 100 I transcribe the two epigraphs as they appear in the book. «A picture held us captive. And we could not get outside it, for it lay in our language and language seemed to repeat it to us inexorably» (Ludwig Wittgenstein). «Non mi posso levar del pensamento questo suoi quadri [I can’t get the thought of those paintings of his out of my mind]» (Bernini). 101 «Certainly I want to retain the word “dialectic” for what is going on here […] but it is a dialectic wholly unlike the scorpion that Pollaiuolo uses to symbolize the activity on the tomb of Sixtus IV. It does not sting, Poussin’s thought process; it does not double back on itself convulsively» (Ibidem, pp. 56-57). 102 Ibidem, p. 170 and p. 209. 104 Ibidem, p. 200 and p. 22. 105 In Roof Life several other pictures are extensively described, but never shown, apart from the photographic portrait placed on the back flap, which can be easily identified with the one described on pp. 221-222. 106 S. Alpers, Roof Life, p. 94. 108 T.J. Clark, The Sight of Death, p. 240. Clark commented on how his book «does look certain kinds of darkness […] fully in the face», while expressing his hope that «readers come away from it without a sense of terminal glumness» essentially because of the «pleasure» and «astonishment», both «unnegotiable», that great paintings can provide (T.J. Clark with K. Tuma, ‘In conversation’). 109 T.J. Clark, The Sight of Death, p. 26. 110 M. Baxandall, Patterns of Intention, p. 1. 111 T.J. Clark, The Sight of Death, p. 132. See ibidem, p. 4 («Maybe Snake was always my epitome of painting because I was a writer about painting, and therefore inevitably looking for an incident, an interruption in the visual fabric, on which words could fasten and begin») and Elsner, ‘Art History as Ekphrasis’, p. 24: «[…] usually we are embarrassed to be caught writing fiction with footnotes (why this is so, I have never understood – for that is what we do, even if the footnotes chart a careful series of ‘true’, or at least generally accepted or empirically attested, parameters within which we steer our fictive imaginations)». 112 T.J. Clark, The Sight of Death, p. 97 and p. 168. 113 «To talk of pictures taking and providing attitudes at least has the advantage of the main metaphor being physical and spatial. I think it is a better way of putting things than talking of pictures making proposals, or having conceptions, or being readable» (Ibidem, p. 142). 116 S. Alpers, Roof Life, p. 163. 118 «But I think writers about art should try harder before admitting defeat. That is what the current experiment is premised on» (T.J. Clark, The Sight of Death, p. 118). 119 «Somehow I have to preserve that balance of forces in my writing, even as the process of seeing and writing inevitably brings more and more particulars into focus – I have to keep hold of the difficulties of making things out […]. And the water jug fallen into the water by the victim’s head ought to stay, in writing, on the edge of the indecipherable» (Ibidem, pp. 161-162).